An internationally recognized thought leader, consultant, researcher, and educator. 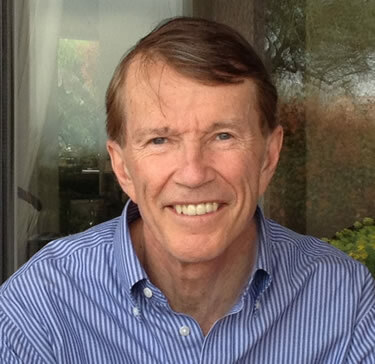 Ralph Keeney specializes in the development, use, and dissemination of decision-making concepts and techniques that help policy makers, governments, businesses, and individuals facing important decisions to structure their decisions in a logical manner that will promote better decision-making. 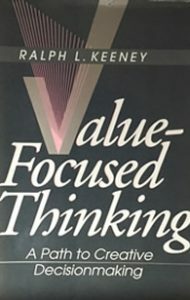 Dr. Keeney has made significant contributions to the fields of decision analysis and value-focused thinking. 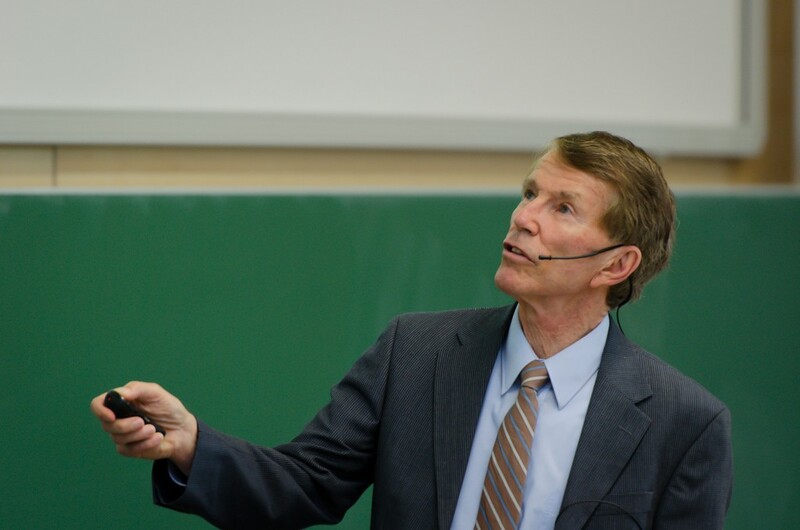 He applies precepts from operations research, management science and the decision sciences to important and challenging decision problems. 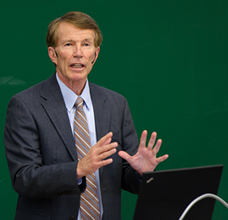 His work includes: theoretical, methodological, and procedural contributions to decision analysis, risk analysis, and value-focused thinking and their applications. He promotes the decision sciences through education and speaking, and service. 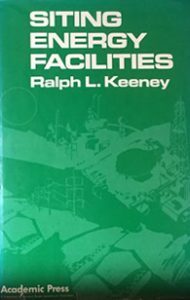 Ralph Keeney is President of the consulting firm, U.S. Marketing and Decisions Group, Inc., Professor Emeritus at Duke’s Fuqua School of Business and Professor Emeritus of Industrial and Systems Engineering at the University of Southern California. He is a consultant and award-winning author, with books and journal articles in more than 20 languages and he is a member of the National Academy of Engineering. I am interested in helping companies and organizations to identify, clarify, and organize the multiple conflicting objectives relevant to their complex decisions. This helps them to avoid decision-making traps, make better decisions, and act in accordance with their values. 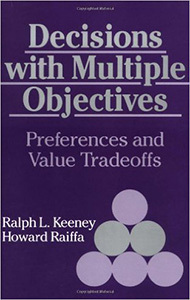 Most important decisions have multiple objectives and uncertainties about the consequences of the alternatives. The task of trying to balance the various pros and cons of different potential alternatives is very challenging. Working with clients, we construct a model of the decision-makers’ values to logically and consistently evaluate their alternatives. This provides insights about which of the alternatives are better, how much better than others, and the reasons why. 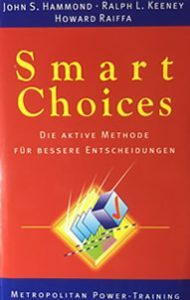 Subsequently, the decision-maker can readily eliminate the now-recognized inferior alternatives and make an informed choice among the good contenders. 1. The full set of values of the decision-maker is not clearly recognized. 3. 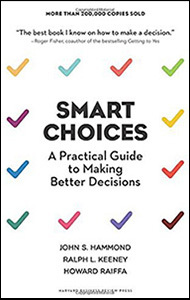 The decision-making is reactive to address problems that have occurred rather than proactive to identify decision opportunities to better achieve one’s objectives and avoid future problems. 2. The available alternatives are not as good as desired. 4. Balancing achievements on different objectives, especially when there are uncertainties about how well different alternatives will meet these objectives, is essentially impossible to do with intuition alone. The fundamental basis for decision-making should be values, not alternatives. Alternatives are the means to achieve the more fundamental values. Your interest in any decision is to avoid undesirable consequences and achieve desirable ones. 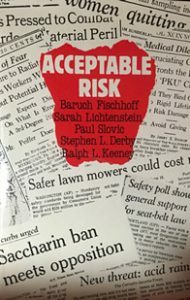 The desirability of consequences is based on values. Values are fundamental to decisions. When faced with a decision, don’t just accept the readily available set of alternatives. It is important to actively try to identify better alternatives than those originally defined. Base the development of these additional alternatives on your values, what you hope to achieve, as this should yield a better alternative to meet your goals. This creative process often is a very effective use of decision-making time and effort. Decision-makers usually think of decisions as problems to be solved, not as opportunities to pursue. Decision-makers do not systematically hunt for decisions. Who needs another problem? Consider that, perhaps you do need another problem; a “decision problem” that is really a decision opportunity that you will create? Recognizing and pursuing decision opportunities is analogous to a focus on prevention, whereas dealing with decision problems is analogous to looking for a cure.